My little ones absolutely love yogurts! They have them in their lunchboxes, and have another one after their dinner in the evenings. (They've also started sneaking into the kitchen, and helping themselves after breakfast. They grab their yogurts, grab a spoon and sneakily hide under the table to eat their yogurts!) So as you can guess we go through a lot of yogurts, and the cost can build up! I recently found out you can actually make your own yogurts with the help of EasiYo! 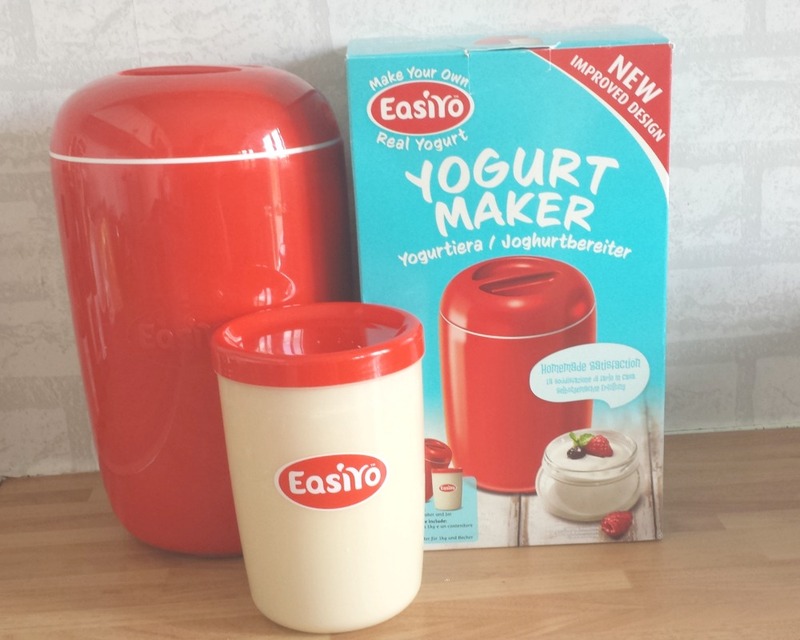 We were recently given the chance to try out an EasiYo yogurt maker and I have to say, I love it! When it arrived I was so pleased! 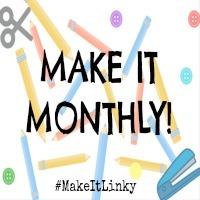 I love the chunky, red, retro look of the maker itself but I was slightly dreading how difficult the process would be or what extra supplies I would need. Well what a ridiculous thing to worry about! Using the yogurt maker was such a quick and easy process. The set I received came with the maker itself, a large pot to make it in and three flavours - toffee, greek yogurt and strawberry. The first flavour we tried was the toffee, and it tastes exactly the way I wanted it to! It's yummy! The process was super simple. You just need to pour some lukewarm water into the yogurt pot & add the yogurt sachet. Give it a good shake! You then need to pop the yogurt pot into the yogurt maker with more lukewarm water and leave for 12-24 hours! It's that easy! What I love about this product is that you can easily create 1kg of yogurt for approximately £3 per sachet (which can keep for up to two weeks)! I also love the look of the yogurt maker on my kitchen counter! It's not too bulky or out of place either. 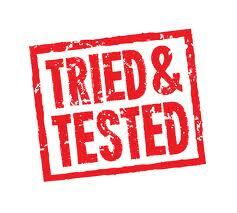 Some extra things I found out: * EasiYo yogurts contain no artifical colours or flavourings! * EasiYo contain more beneficial live cultures & calcium than store bought yogurts! * You can totally eat EasiYo yogurt if you are on Slimming World! Most are 0 syns, some are one or two. But still totally worth it! If you eat yogurt quite a lot, I highly recommend trying the EasiYo yogurt maker! This post was sponsored but I did not receive monetary compensation. 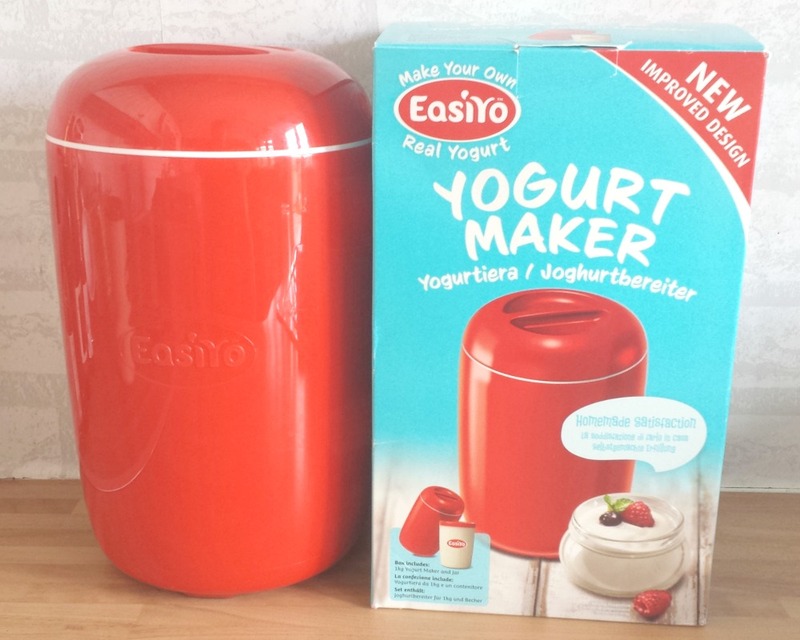 I received the EasiYo Yogurt Maker to review. All opinions are my own.